We've got two big opportunities for actors and students coming up fast - including a deadline for our Touchstone Players and the February auditions for our summer shows. If you know anybody who might be interested—friends, family, neighbors—feel free to forward this to them. This winter we're inviting a small group of 8th-12th graders to rehearse and stage one of Shakespeare’s best-loved plays, "Twelfth Night." Space is limited to the first 15 students, so please register today! This rollicking comedy of mistaken identities is one of our favorites, and we're sure these young actors will have a blast putting it on too. Rehearsals begin February 2, and the performance is Friday, March 6. Click here for more information and to register now. We're holding open auditions on February 8th and 9th for our 2015 summer season. 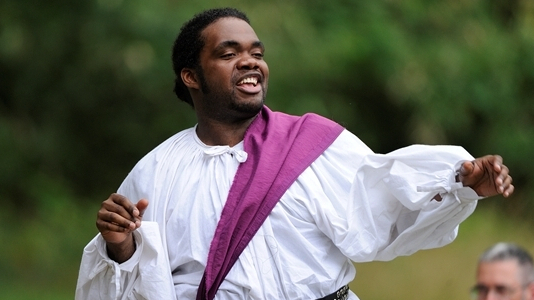 The shows are "As You Like It" and "Henry IV, Part One." Please register in advance for an audition slot. Click here for all the audition information.